Perhaps we all have animal spirits shaping the way we live. They allow us to learn from their characteristics. In my mind, the mountain lion has a mysterious or magical quality and a quiet beauty. This was my inspiration for my mosaic. 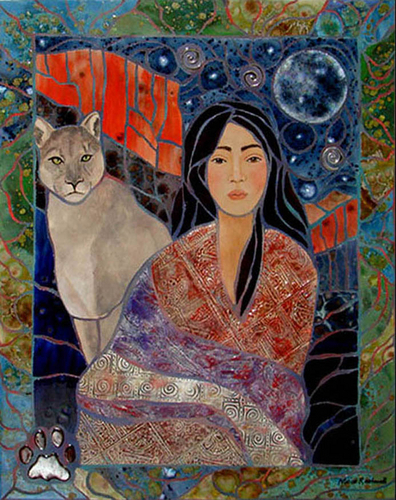 It is said that the mountain lion spirit teaches how to balance power, intention, strength and grace to bring together the body, mind and spirit. In this mosaic, I have incorporated textured tiles with mixed glazes and I have used multiple colors of grout.